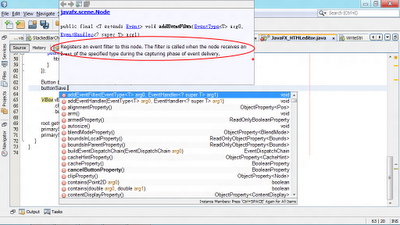 It's supposed that you can view the Javadoc for any of the library's class in Netbeans Source Editor. 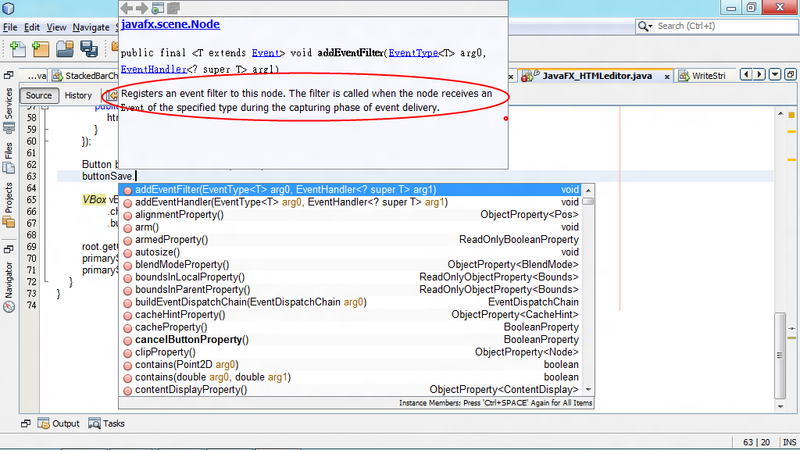 But somebody, include me, cannot view the Javadoc for JavaFX elements because Javadoc not found! 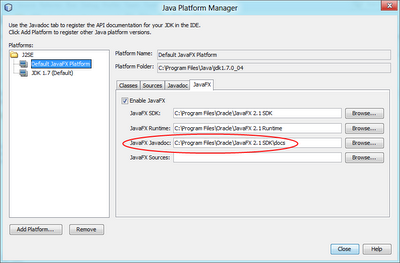 - Click Tools -> Java Platforms in Netbeans menu. 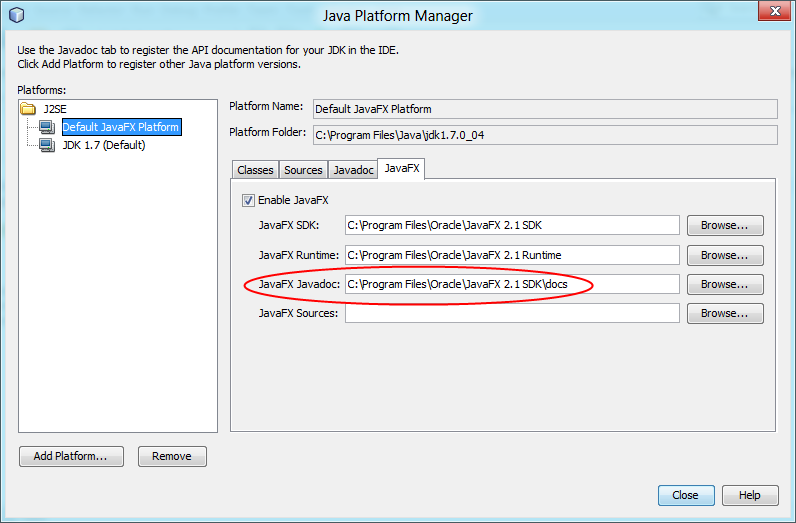 - Select your JavaFX Platform in Platforms box on left, click to enable JavaFX tab, Browse...to include JavaFX Javadoc folder. Now you should be able to view more in Javadoc while you are writing.